Big Sky Builders, Inc. was started in 2003 with the idea of starting my own company that would allow me to share my passion for building & remodeling homes, but also the opportunity to build relationships with people across the great city of Birmingham. Every year I feel more & more blessed that God allows me to do this & also provide for my family. 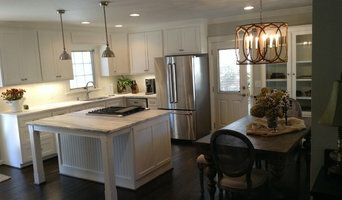 Reliable Remodeling company produces quality relationships in addition to our quality work. We respect our customers and their homes and offer highest quality workmanship with the best value. Founded in 2006 by Tom Adams and Adam Gerndt, Adams Gerndt Design Group is a regional design firm based in Birmingham, Alabama. With a primary focus on custom residential projects, Adams Gerndt Design Group is a full service design firm offering a range of services including design, site planning, master planning, interior design, furniture design, and construction management. Adams Gerndt Design Group has completed a broad range of projects including lake houses, farm houses, mountain houses, hunting camps, primary residences, boat houses, condominiums, lofts, retail space, office space, and one floating hunting camp in the bayous of Louisiana. We have worked on projects ranging in size and scale from 300 square foot renovations with a budgets less than $30,000 to 9000 square feet of new construction with a budget of $3.9 million. We have completed projects in Georgia, Alabama, Florida, Louisiana, and Montana. The firm’s philosophy is rooted in the ancient Vitruvian concept that design needs to be a synergy of commodity, firmness, and delight. We strive to design projects that maximize a client’s investment, select materials and processes that will ensure the longevity of the project, and develop innovative designs that push well beyond just meeting our client’s basic programmatic needs. We are constantly looking forward for new ideas and inspiration for our designs; but we find that the use of regional materials, vernacular forms, sensitivity to the environment, and the acknowledgement of historic precedent, helps in the development of timeless designs that are appropriate to their place, their environment, and to the function for which they are intended. Our proprietary CaseStudy planning process provides the details you need to make informed decisions & it’s 100% money back guaranteed. Proudly serving the Birmingham area for 10+ years. Call us today! Precision Homecrafters was named Remodeler of the Year by the Alabama Home Builders Association. Since 2006, we've been recognized with over 51 Alabama remodeling awards for excellence in remodeling. Our customers find that our highly awarded team makes it easy for you to get the finished home you want and that we save them money compared to contractors with less experience. Please call us today for Free in home consultation! Reliable is committed to providing dedicated, consistent and comprehensive personal service with each project from inception to completion. James Walton has been diligent in creating not only a company of very high regard and customer satisfaction, but also one that is truly a family of the most competent, accomplished and passionate people. Our subcontractors have enjoyed a long and trusted relationship with consistent terms averaging 10 years. The Reliable difference is based on our personal involvement and interaction with people. Reliable Remodeling company produces quality relationships in addition to our quality work. We respect our customers and their homes and offer highest quality workmanship with the best value. 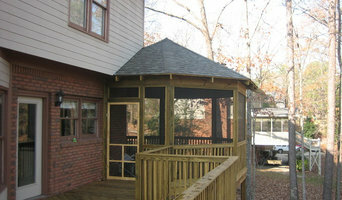 Over the Mountain is Birmingham's premier builder for high quality decks, porches, and outdoor living spaces. We’ve designed and built countless outdoor projects since 2006, earning a reputation for custom designs, quality workmanship and guaranteed satisfaction. Toulmin Homes is a full-service builder specializing in custom homes and remodeling. We pride ourselves on offering the highest level of customization, individual design, and customer service. Our team of professionals guide customers through each step of the building process, offering helpful advice and meticulous attention to detail along the way. We are proud of the quality, integrity, and craftsmanship displayed in all of the homes we have built in the area over the last 15 years. Our goal at Willow Homes is to make it simple! We want to provide our clients with a personal and creative place for them to call home. We want your experience to be fun, stress-free and we want to protect your investment. Harris Doyle Homes is the combined effort of two second-generation new home builders from Birmingham, Alabama. Our families have been building Birmingham new homes since 1972 and 1978 respectively. Harris Doyle Homes' mission is to provide our customers with a top quality Birmingham new home that exceeds their expectations in terms of design, amenities and customer service. After being named Builder of the Year in 2010, just two years after the birth of the company, Harris Doyle went on to become the #3 Largest Builder in Birmingham in 2013 according to the Birmingham Business Journal, and the #84 largest privately held company in Birmingham according to the same publication. This success is not only attributed to the generational experience of these two Birmingham home building families, but the reputation Harris Doyle has developed both within the industry and through our homeowners. We realize that service begins after the sale and our Guildmaster Awards reflect our commitment to a high level of customer service. Our fathers were proud to serve previous generations of Alabamans with their own brand of top notch customer service, and we believe customer service is what will allow us the opportunity to serve Alabama throughout the coming generations. We are a design/build company offering quality remodeling and construction at a very competitive rate in the Birmingham Metro area. At Prominence Homes and Communities we believe home ownership is still the American dream. A dream where hard work shapes itself into a comfortable place for family and friends to gather, where children grow and memories are cherished for a lifetime. At Prominence, we aren’t just building houses, we are creating homes and fulfilling dreams. We take the job of fulfilling dreams very seriously! Our dedicated team has over 40 years of combined experience in the construction industry. We strive to be the leader in our industry by constantly seeking the best products, the best craftsmanship, the best designs and the best locations for our homes. You can find our homes in many different areas of town and in various price ranges…we are always mindful that our homeowners want convenient locations, quality school systems and premier design and construction no matter their budget! Our philosophy for every home we build is simple…. One Home, One Owner, One dream at a time! Let us help make your dream home a reality! 2nd generation full scale remodeling and service/repair company. Design-build residential remodeling experts. Since 1983, Oak Alley has been a premier design-build company for the Greater Birmingham area. We offer unique solutions to individual properties. 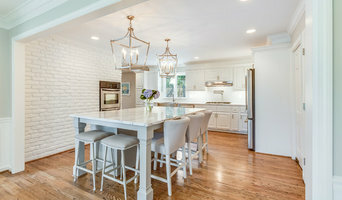 With work ranging from large to small additions, major to minor kitchen remodels, master baths to hall baths, and whole-house renovations as well as smaller room-specific projects, there’s never a cookie-cutter approach to Oak Alley design-builds. Each project is designed around the unique needs, budget, and space of the homeowner. Hancock Construction is a full service construction company in Birmingham, Alabama. We offer commercial and residential construction services as well as professional architecture and design services. We endeavor to build projects with excellence but also also people with integrity. Design-build firms take on the responsibilities of architects, contractors and construction companies, all under one roof. These full-service firms focus on a streamlined design-build process — from the initial design to the estimating phase to physical construction — in the hope of creating an efficient experience for both the client and the company. Because the entire project is happening within one company, Cahaba Heights design-build firms are able to overlap the design and construction phases of the project, which often speeds up the project significantly. In addition, these firms work to minimize risks for the project owner through single-point responsibility contracts. However, depending on the firm, you may still want to contact an interior designer or architect to help create the exact look you want. Here are some related professionals and vendors to complement the work of design-build firms: Interior Designers & Decorators, Landscape Architects & Landscape Designers, Architects & Building Designers, Photographers. Before deciding on a residential design-and-build company in Cahaba Heights, AL, think about what you want from your new home. Do you want a large kitchen for entertaining? Do you need several bedrooms for children and guests? Do you want a finished basement for extra space or storage? Look for Cahaba Heights design-builders that specialize in the areas you're looking for. Budget is obviously a determining factor in the outcome of your project. To make sure you stay within your means, consider making a must-have list and a wish list. Gauge where the estimates are falling to determine which design-build contract can realistically strike the balance between the two. 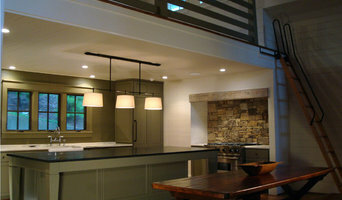 Find a Cahaba Heights design-build company on Houzz. Narrow your search in the Professionals section of the website to design-build firms in Cahaba Heights, AL. You may also look through Cahaba Heights, AL photos to find a pool you like, then contact the design-build firm that created it.